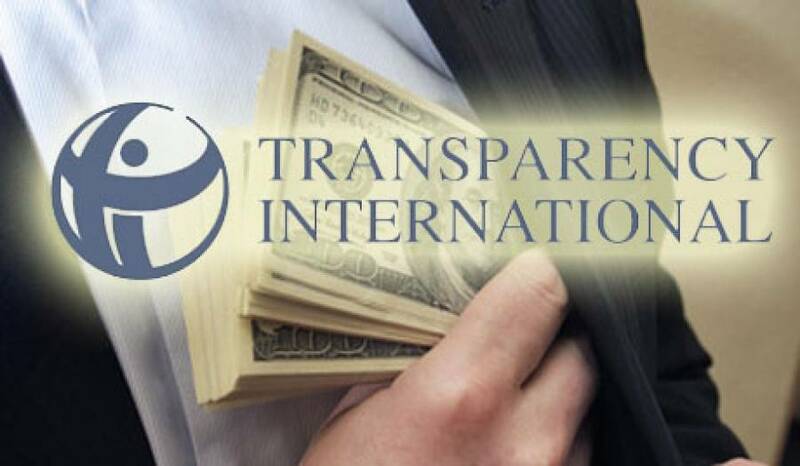 Nigeria maintained 27 per cent score in the corruption perception index just released by the Transparency International but moved from 148 to 144th position in latest ranking. Significant in the latest report is United States dropping four notches out of the top 20 countries in the world. However, Nigeria made the four notch jump without improving its score of 27 out of a possible 100 as recorded in 2017. Nigeria tied with Kenya, Comoros, Guatemala and Mauritania, with similar score out of a possible 100. Nigeria however is ranked better than Cameroon put at 152nd. Botswana remains Africa’s most transparent country with a ranking of 34, followed by Namibia, Mauritius and Senegal. The United States slid to 22nd in the world from 18th last year, dropping out of the top 20 countries for the first time since 2011, Transparency International said in a report that cited growing threats to democracy worldwide. The group said its latest report on business leaders’ perceptions of corruption put the United States at 71, down from 75, on a scale of 0-100. That sounds a “wake-up call” about the need to tackle conflicts of interest, undue influence of the private sector and widening gaps between rich and poor, said Zoe Reiter, the watchdog’s acting representative to the United States. Denmark and New Zealand had the best scores on the Corruption Perceptions Index (CPI) again in 2018, scoring 88 and 87, while Somalia, Syria and South Sudan remained at the bottom, with scores of 10, 13 and 13, TI said. Overall, more than two-thirds of countries scored below 50 on the 2018 index, and the average was 43, said TI, which has more than 100 chapters worldwide. The group said only 20 countries had significantly improved their scores since 2012, including Argentina and Ivory Coast. Sixteen others, including Australia, Chile and Malta, declined significantly in the same period. The average score for EU and western European countries held steady at 66, while sub-Saharan Africa scored just 32, TI said. A score of 100 is considered “very clean”, while a score of zero is highly corrupt. TI said its analysis showed a clear link between having a healthy democracy and fighting public sector corruption, and cited declining scores for Turkey and Hungary, in connection with challenges to the rule of law and press freedoms. Hungary’s score dropped by eight points to 46 over the past five years, amid troubling developments including the forced departure of the Open Society Foundation and Central European University, founded by philanthropist George Soros, TI said. Turkey’s score dropped by nine points in the same period to a score of 41, as the country was downgraded to ‘not free’ on a democracy ranking, TI said. “Corruption is much more likely to flourish where democratic foundations are weak and … where undemocratic and populist politicians can use it to their advantage,” said Delia Ferreira Rubio, who chairs the global civil society group.